Look for lots of product reviews coming soon! Upton’s Naturals is a relatively new player in the faux-meat industry (at least in the Charlotte, NC area). 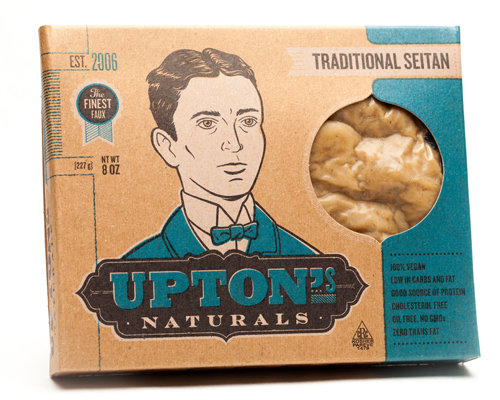 Upton’s Naturals is a Chicago-based, vegan owned and operated business specializing in GMO-free, minimally processed seitan (a vegan wheat protein). Their packaged seitan (Traditional, Ground, Chorizo, Italian, and Bacon styles) are now sold in all 50 states. In Charlotte, you can find Upton’s Naturals at Earth Fares. Upton’s Naturals contacted me because they said my blog would “be the perfect platform to get the word out to your local veg community about our seitan,” and offered to send me free coupons in exchange for product reviews and creating some recipes! Of course I said yes! Unbelievable timing because I had recently been thinking about how much I love Zizi’s seitan sandwiches and meals (their Philly Cheesesteak? 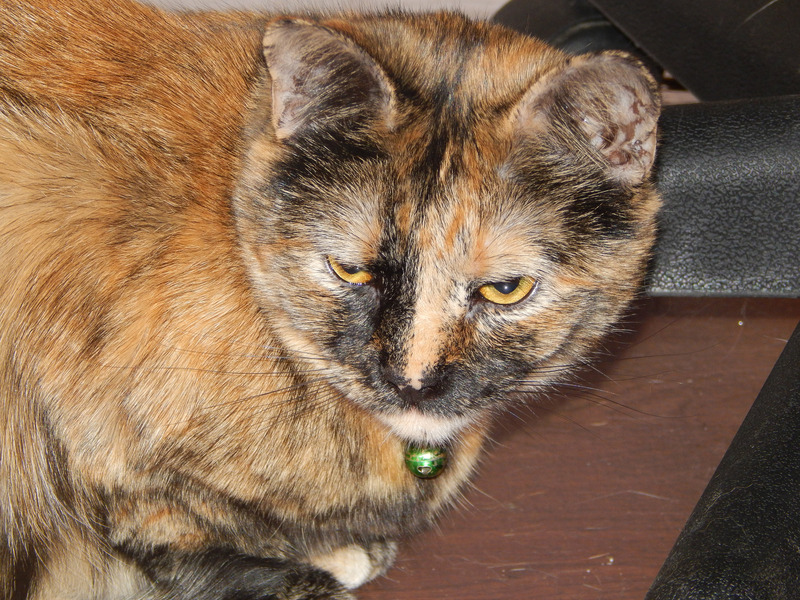 Are ya kidding me?) and that I really must start experimenting with seitan myself! I’m looking forward to having major fun with this product in the kitchen! Expect reviews and recipes soon! 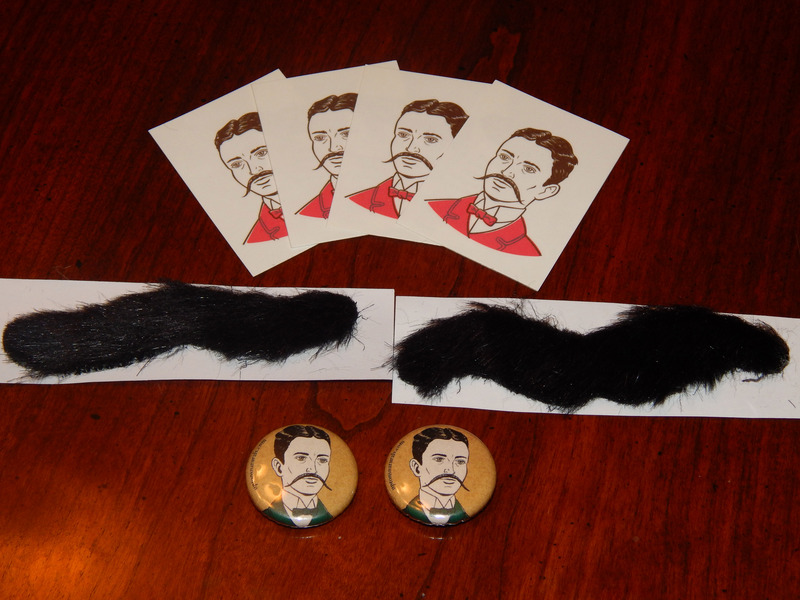 Upton’s Naturals also sent me some “swag,” which included some buttons, what appear to be rub-on tattoos, and two fake mustaches. I can’t wait to put these mustaches on my cats. Off to Asheville today. Sure hope they have the bacon style in stock! Been hoping to try this myself for a long while – since first seeing the ads in VegNews. Looking forward to your reviews! And may I say thanks for your vegan voice in a part of the world that is woefully overrun with the local, sustainable set that celebrates eating animals. Don’t get me wrong, I am all for local and sustainable – only if it does not include animal inputs. That is why I am starting a veganic (vegan, organic) garden project here in Cleveland County. Follow along, if you like. https://www.facebook.com/veganicgardening. Thanks again! Free stuff is the best!! I love Upton’s Naturals. I sampled the bacon variety at the Boston Veg Food Festival and have been really wanting to buy it since then, but for whatever reason the Whole Foods around here only carry Traditional, Chorizo, and Italian. Isn’t that strange? Can’t wait to see what recipes you come up with! Thanks! It’s going to be fun! Can you believe my partner actually came home with the Bacon version?!! I totally love Upton’s! They are the best faux meat out there. Cool! I’m so excited to try it!!! Do you have a favorite recipe you make with it? I made chili with the Chorizo Seitan and my meat eating dad loved it! I put it in vegan mac and cheese too!